Once upon a time, before we had virtual worlds created by electronics we had books. A well-written book can take the reader away to another place and time as convincingly as any theme park attraction. This week I have been thinking about books which create a palpable Sense of Place, where the geographic setting contributes as much to the story as the characters and plot inventions. No list of favorite books can be complete, and your favorites will differ from mine. But I want to begin touring the world with you, suggesting to you books I have enjoyed or learned about from others, which will introduce you to places, people and cultures you might not have met yet. Maybe these will entice you to see such places for yourself. Certainly you will be richer for being introduced to new friends. 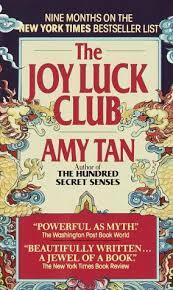 Asia – Amy Tan’s books are set as much in American Chinatowns as in China, but that only enhances the contrast between East and West. The Joy Luck Club and The Kitchen God’s Wife each tell interwoven stories of women who grew up in China and moved to San Francisco, struggling to make sense of their transitions and how to raise daughters in the new world. The Book of Salt by Monique Truong begins in French Indochina and moves to Paris of the 1930s. Young Binh cooks for Gertrude Stein and Alice B. Toklas. Both Vietnam and France come alive in the young man’s observations. I have not read Eat Pray Love by Elizabeth Gilbert but find it noteworthy for its inclusion of three different world cultures. Gilbert left her life behind and set out for a year of study, learning to eat in Italy, pray in India and love in Indonesia. Africa – The first of a series of books by Alexander McCall Smith, The No. 1 Ladies’ Detective Agency is set in a quiet village in Botswana. These are very low-key mysteries, not spine-tingling, nail-biting thrillers, but they are comfortable and painted with good humor. They have been adapted for television and radio. 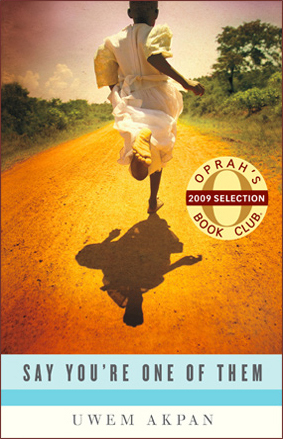 Out of Africa by Isak Dinesen (Karen Blixen) is a 1937 memoir about life as a European landowner in what is now Kenya. The racial attitudes are typical of the era, but the land itself is presented lovingly. The book about Africa which I have found the most challenging but also the most worth reading is Say You Are One of Them by Uwem Akpan. This is a collection of contemporary stories told from a child’s point of view, set in several countries in Africa. The stories present the grim realities of life among the disenfranchised in Africa in ways that you will not forget. Only two continents covered? It looks as though this will have to be a series. What I need to know for my next installments is which books have taken you away to smell the dry air or the sea spray, to feel the sun on your neck or the ice taking your toes? Please send me your nominees for the best Sense of Place books you have encountered. They don’t need to be new. Often I find that Sense of Place boils down to that place at that time, and the period and place are intertwined. This entry was posted in Travel, Uncategorized and tagged a Thousand Splendid Suns, Africa, Amy Tan, Asia, books, China, Congo, Eat Pray Love, India, Joy Luck club, Kenya, Khaled Hosseini, Kitchen God's Wife, No. 1 Ladies Detective Agency, Out of Africa, Poisonwood Bible, Say You Are One of Them, sense of place, The Book of Salt, The Kite Runner, travel, Uwem Akpan, Vietnam. Bookmark the permalink.